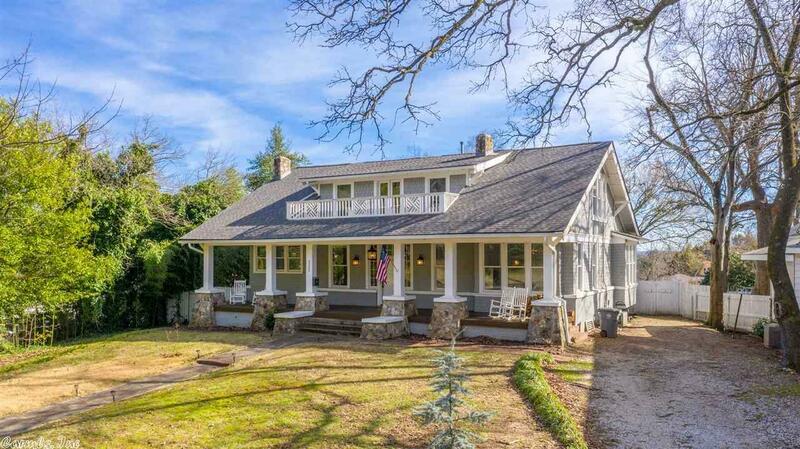 You'll enjoy the best of both worlds with this Craftsman style home located in the Historic District just steps away from Hot Springs' vibrant downtown. With recent renovations, the owners were careful to retain the charm and character of the home that was built in 1910, yet incorporate modern conveniences that todays families need. The expansive front porch invites you to enter and step back in time to original hardwood floors and windows, ceiling beams, fireplaces, butler's pantry and a grand staircase.